The semifinals of the inaugural Aik Awam Unity Cup will be played at Karachi’s Gizri Football Stadium on Friday. 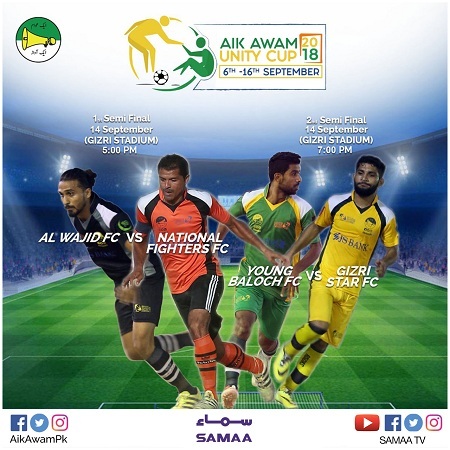 National Fighters FC will take on Al Wajid FC in the first semifinal at 5pm while the second match will be contested between Gizri Star FC and Young Baloch FC at 7pm. The final of the football tournament will be played on September 16. The Aik Awam Unity Cup is being organised to commemorate Defence Day and pay tribute to the footballers of Pakistan. 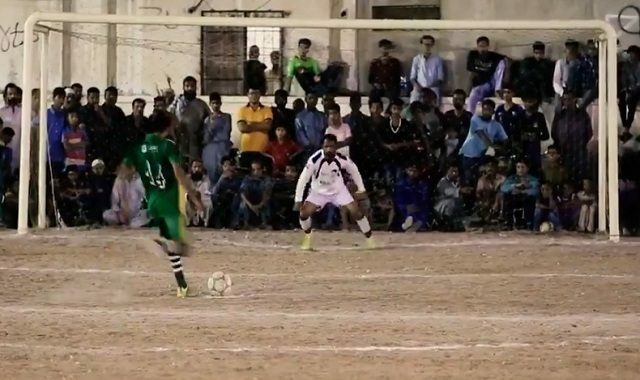 Teams registered under the Sindh Football Association are taking part in the event. The winning team will receive a cash prize of Rs100,000 while the runners-up will be awarded Rs50,000. The teams finishing third and fourth will be awarded Rs25,000 each. The winners of the player of the tournament, golden boot and golden glove awards will be awarded Rs15,000. SAMAA Digital is the official media partner of the event.